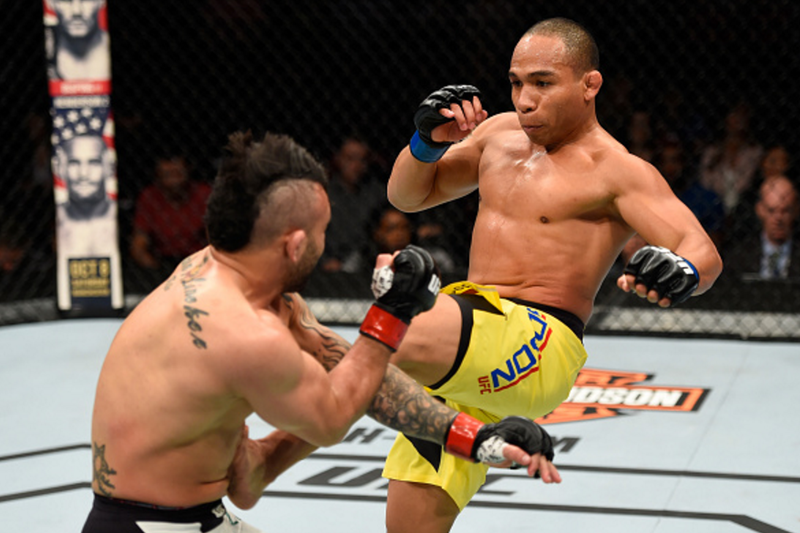 John Lineker and John Dodson gave something for the fans to remember as they main evented Fight Night in Portland, and following five rounds of wild exchanges, it was the Brazilian who notched his sixth consecutive win with the split decision. The booming bantamweight division provided a treat with both preserving their records of never being knocked out; on a night where their two freakish powers ended up cancelling out. Elsewhere on the night, Oliveira thwarted Brooks - with some fallout afterwards - and a TUF cast member pulled off a huge upset. Preliminary action in Oregon featured a blistering stoppage from Nate Marquardt, while Andre Fili looked rejuvenated with an aggressive performance to get the points nod over Hacran Dias. Concluding the set of fights was Luis Henrique da Silva, who weathered an early storm to remain unbeaten with a second round armbar. When an opportunity presents itself in the MMA world, you should go out and grab it with both hands. That was the case with The Ultimate Fighter season 24 cast member Brandon Moreno, who also grabbed the neck of Louis Smolka for a huge submission upset in the first round. The young Mexican was a late replacement in the flyweight matchup following an injury to Sergio Pettis, and instead of the main card opener being a one-sided contest to further extrapolate the momentum of "The Last Samurai", it turned out to be a huge statement from Moreno. Surprisingly, the underdog took early control with a takedown, countering Smolka's attempt to initiate a clinch and pull off a standing guillotine. Some top control - albeit deterred by a cluster of elbows from the bottom - helped him bide his time, until things went back up to the feet where it was the Hawaiian in search for a takedwn. That would be his downfall, as Moreno secured the choke, squeezed and forced the eventual tap from his ranked opponent. His UFC career is off to a flyer and will surely break into the rankings after just 2 minutes and 23 seconds of fighting. Zak Ottow outworked Josh Burkman narrowly on the judges scorecards to get his UFC stint off to a winning start, defeating the veteran by split decision. He landed a big shot to rattle the chin in the early stages, and mixed up some body kicks throughout which put it in his favour, reducing as much damage as he could to efficiently take the bout. 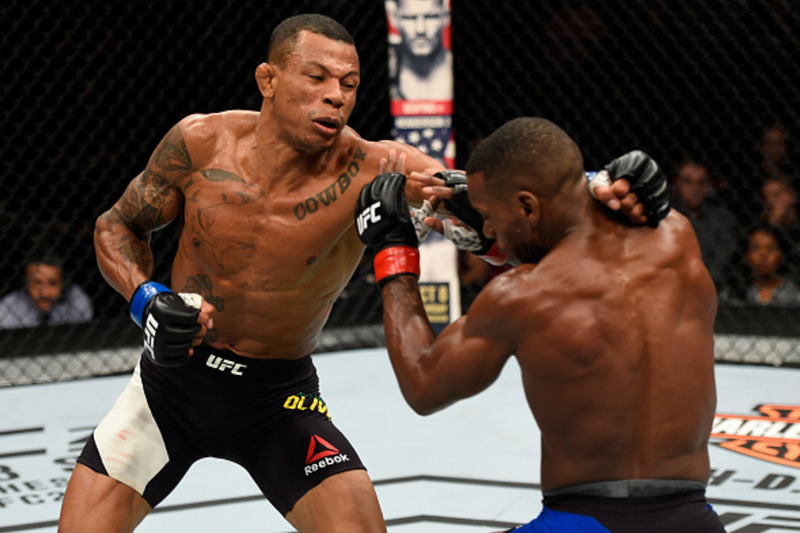 Alex Oliveira handed a rare setback to former Bellator champion Will Brooks with a third-round TKO finish in the evening's co-main event. An uneventful first two rounds featured mostly clinching against the cage, whereby "Cowboy" was able to inflict some damage on the body of the American, landing some knees which appeared to hurt the ribs of his opponent. Brooks attempted to take the back on a few occasions, but at the end of the second round the writing would be on the wall, as he winced in pain heading back to his corner. In the third round, Oliveira would pound him out for the stoppage on the ground, but that wouldn't end the tension, as a very brash celebration sparked some bad blood. A crotch chop and gesture towards his knocked out opponent saw Brooks throw the mouthguard at him, with this all unrolling after missing weight in which his opponent spoke against. Boos around the arena left a sour taste in spectator's mouths but nonetheless, a huge win as Brooks is halted. The early goings of the first round resembled that of a chess match, with Lineker trying to set the traps and employing leg kicks while Dodson worked well on the outside and found a few straight rights, along with a huge head kick. Neither man was stumbled, instead they both grinned and even the American laughed at one point, with things quickening up in the tail-end of the opening frame as Dodson circled quicker while the Brazilian attempted a knee. 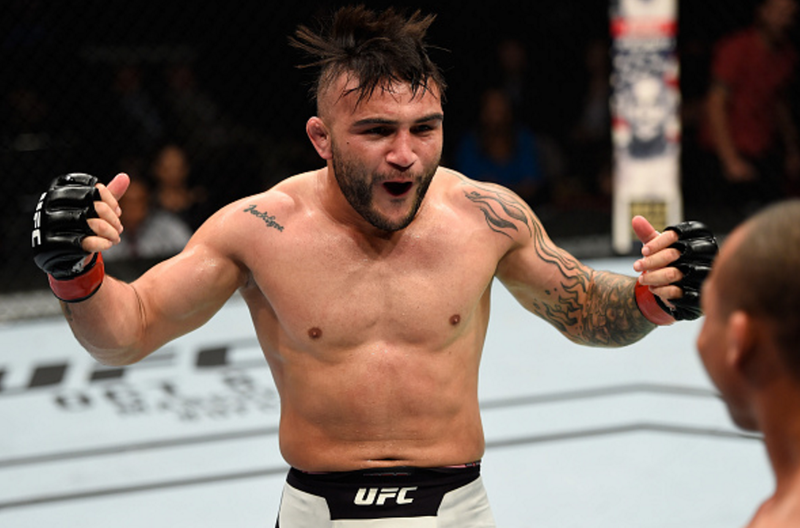 John Lineker was frustrated in the second round, imitating Dodson by jokingly running around after his opponent continued to circle away and backtrack from the danger. Following an excruciating groin strike which resulted in a break, after an unintentional knee hurt the South American, there was more aggression, with Lineker now yelling and surging forward, while the Jackson-Wink fighter continued to land straight lefts. Fans were finally getting the fight they wanted in the third, with Lineker in typical fashion wildly pursuing his opponent and really landing on the point with some huge shots. Dodson was stunned at one point, and sent back at a number of occasions before going for a desperate takedown attempt late on. "The Magician" was engaging in more wild affairs and it made for all sorts of entertainment with both fighters willing to plant their feet and fight fire with fire, with the red corner fighter rallying the crowd in the process. Now sporting the battle scars, John Lineker pressed the pace, hunting down his counterpart in the fourth round. Throwing caution to the wind (and throwing some cracking shots), he charged forward and continuously cut off the cage, once again wobbling Dodson and hurting him with some good body shots as he covered up against the cage. A response to the pressure was given from the #10 ranked bantamweight, with counter lefts and takedowns, but going into the fifth round both looked like they still had plenty in their tanks, and it was incredibly close. Some more leather was exchanged in the fifth and final round, with Dodson taking some control as he got the back clinch, but neither would be denied. Lineker was wobbled as was his opponent; but they would go the distance after giving the fans a thrilling slugfest to remember. 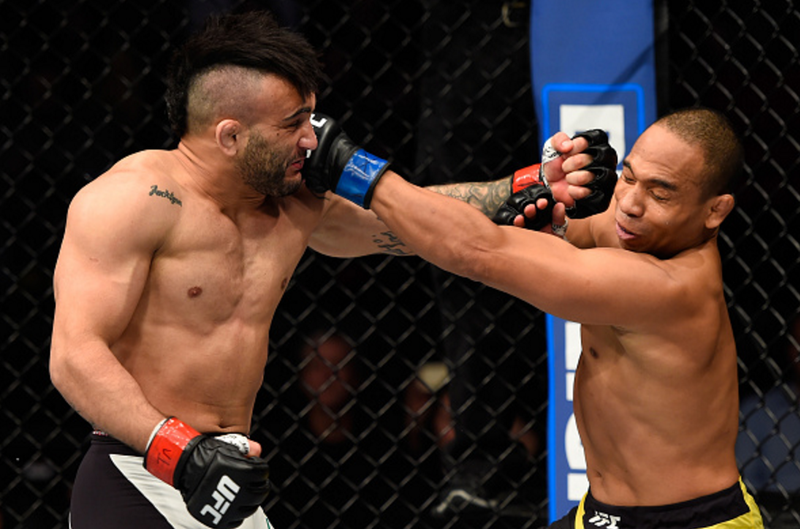 After a tense wait, the fight was awarded to John Lineker on split decision. A razor-close fight ended in similar margins, but in all there really wasn't much to lose after putting on a fun fight, with the victor eyeing divisional champion Dominick Cruz next.